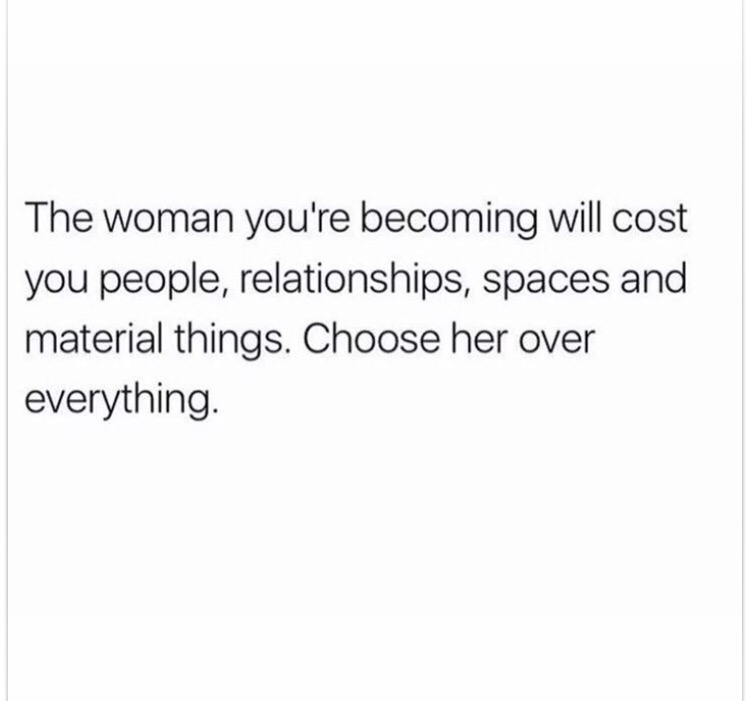 Obviously, choosing yourself and your happiness and well being is more important than material things, but “choose her over everything? !” If the person you are becoming forces you to end relationships and desert people, you are not becoming the kind of person that would please God. You’re also probably not going to be happy! Goals are great, but there are things that are more important than your personal plans. Especially people and relationships! Success can be lonely if you leave everyone behind. I know that there are people that bring you down and tempt you to sin and might not fit in your life anymore, but there is a way to love these people without allowing them to bring you down. God will take the wrong people out of your life if necessary or you might feel led by God to end a relationship. 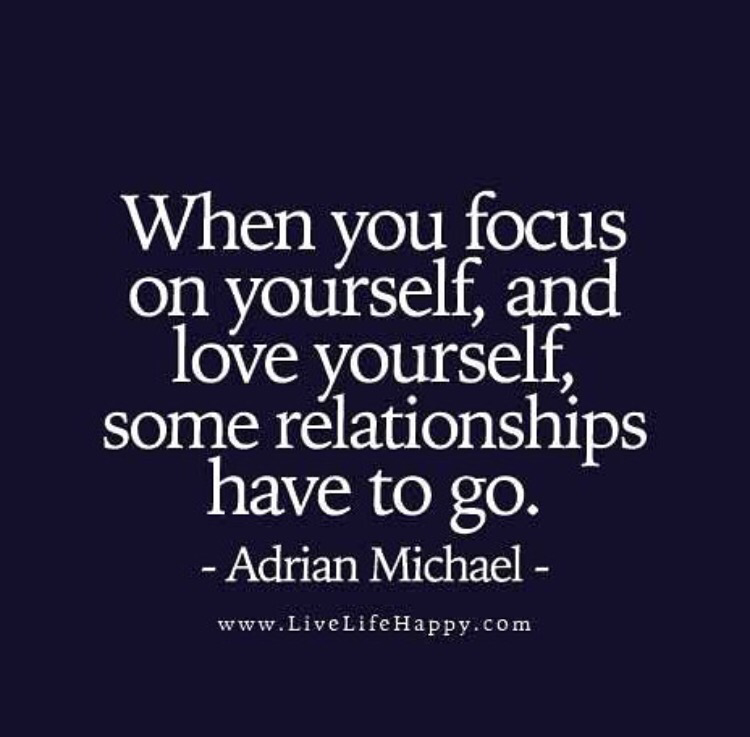 Cutting them off on your own is not the loving thing to do. You want people to see Christ in you! So, in my opinion, don’t cut people out of your life completely. Stop hanging out with them in tempting situations. Ignore their negative comments. Interact with them less often if they don’t support your goals. But don’t let them feel that you only care about yourself by giving up on them. Don’t let them feel that they are not worthy of the you that is bettering herself. If you are a Christian and your friends know this and you decide that getting what you want is more important than the relationship you have with them, what do you think they are going to think about God? If you are all they know about God and they don’t feel worthy of your love, they might feel that God won’t think that they are worthy either. You are important. Your feelings are important. Your opinions are important. Your goals matter. Your happiness matters. Your health and your beliefs and your feelings matter. But so do other people’s. Don’t let society perpetuate selfishness anymore. Be different and love people before yourself. Consider their feelings. Give your relationships priority in your life.